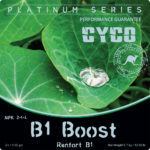 Cyco Platinum Series B1 Boost is an additive used throughout the vegetative and flowering periods of plant growth. Used at higher concentrations in vegetative growth than flowering, B1 Boost contains high amounts of the natural vitamin B-1 also known as thiamine. Thiamine is a natural hormone that is present in the plant, natural bacteria excrements, and native fungi. 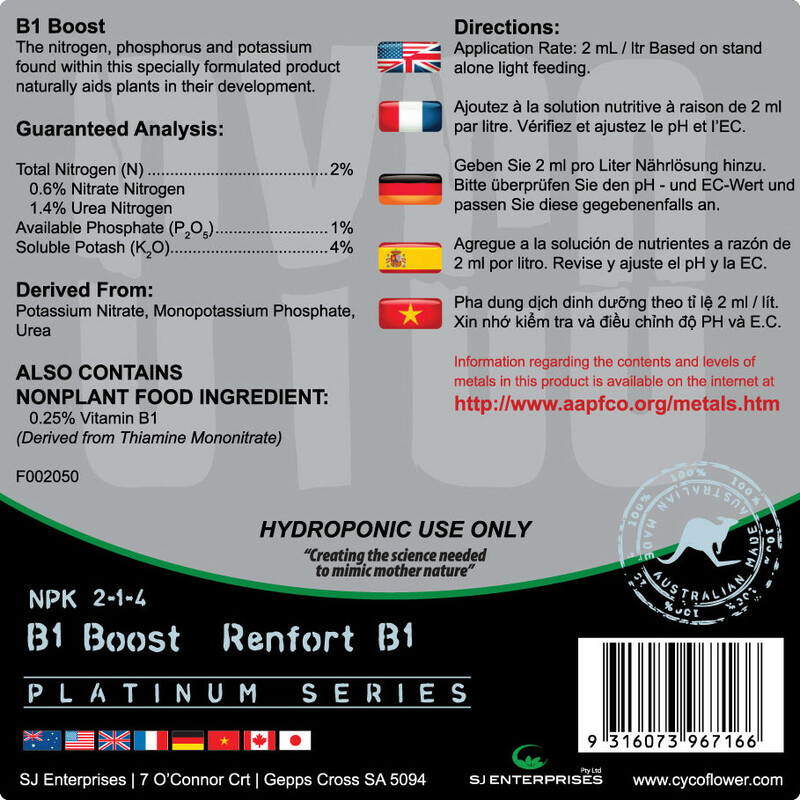 By providing a constant presence of thiamine, root growth is encouraged thereby allowing for healthy new growth. 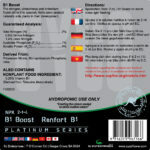 B1 Boost is also a strong source of pharmaceutical grade potassium. A necessary ingredient to plant growth enzymes, protein formation, and the translocation of sugars, potassium in B1 Boost allows for vibrant, healthy growth. 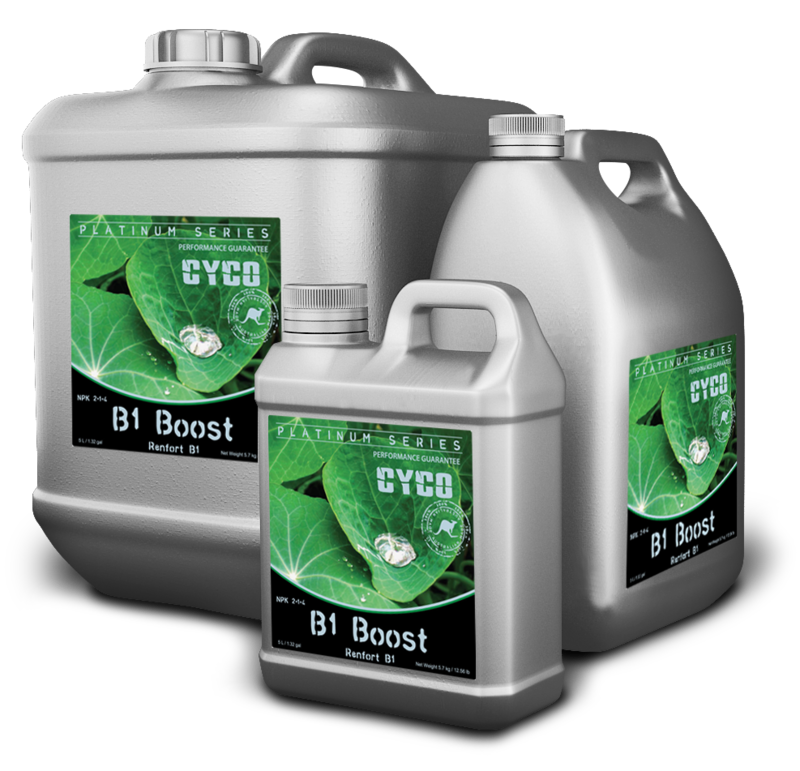 B1 Boost is used only in the vegetative period at 1ml per liter.